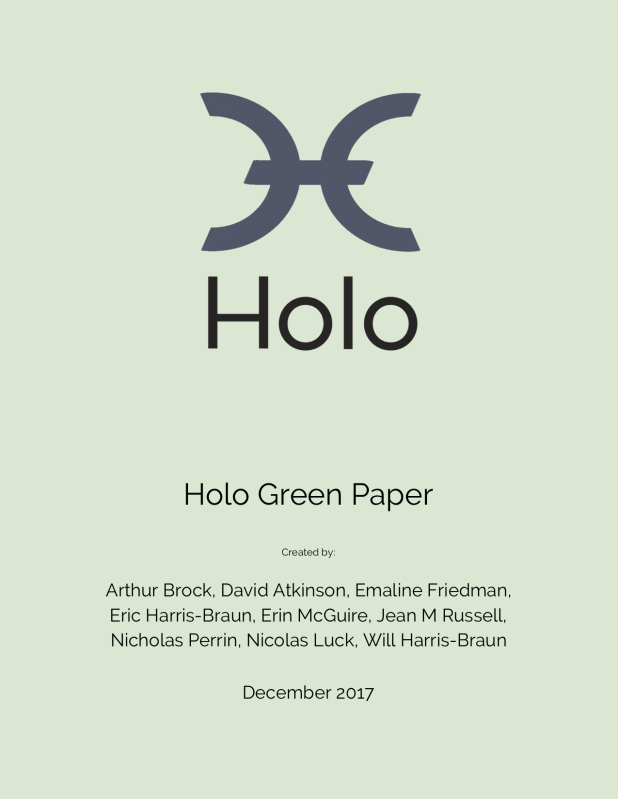 Holo is a bridge to link our advanced crypto technology, Holochain, and everyday users. 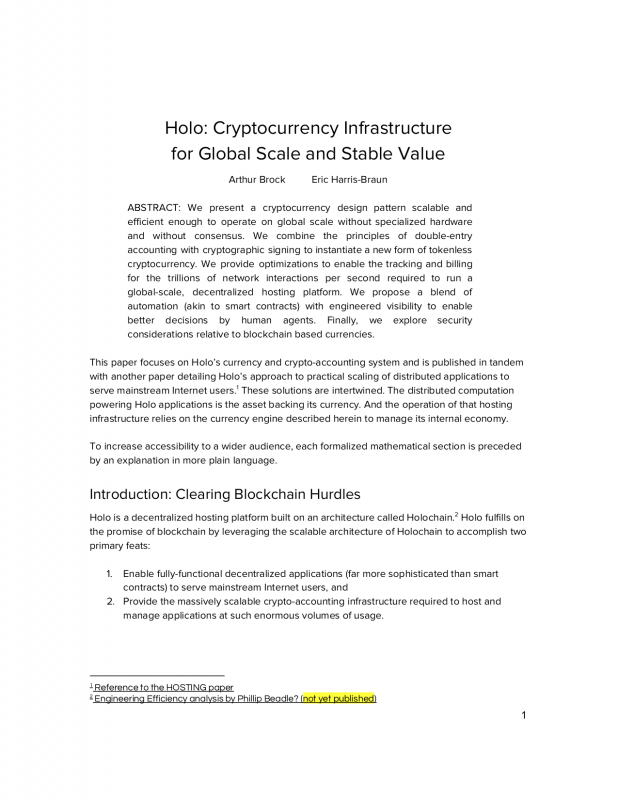 This document explains how Holo works and the business model and funding that support it. We present a cryptocurrency design pattern scalable and efficient enough to operate on global scale without specialized hardware and without consensus. We present a scalable, agent-centric distributed computing platform. 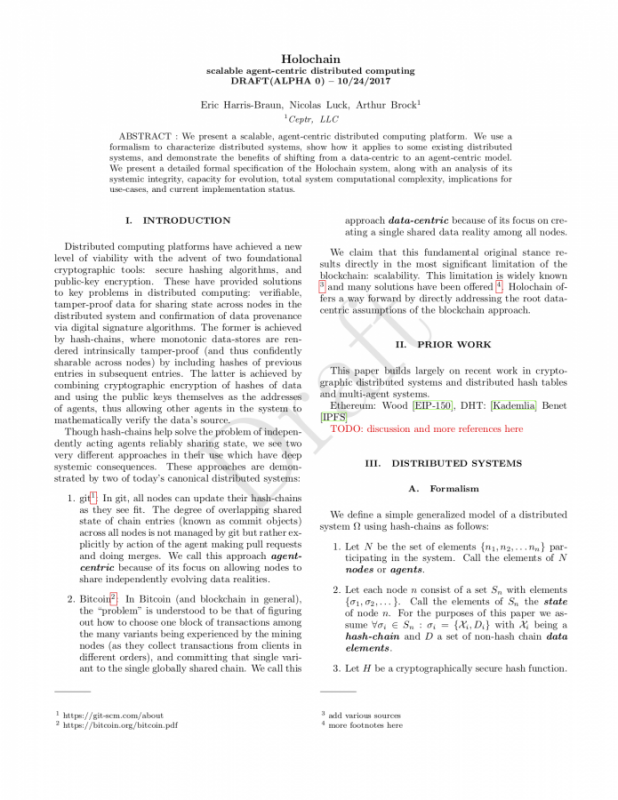 We use a formalism to characterize distributed systems, show how it applies to some existing distributed systems, and demonstrate the benefits of shifting from a data-centric to an agent-centric model.